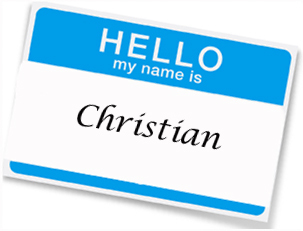 One of the newest debates among Christianity is over our name: are we still called Christians, or is it time for something new? Some have become so dogmatic in this discussion that they refuse to be labeled a Christian. The Christ Followers say that the term Christian has a negative connotation in our culture; they assert that society has a bad taste in its mouth from all the hypocrites in Christianity, from disgraced leaders and fallen pastors, to money-grubbing faith healers and abortion-clinic bombers. On this issue, I cannot help but agree with them. These tragedies all hurt the cause of Christ. But the way I see it, the world should have a negative view of Christians, just in a different way. In Acts 11:26 we see the first time that the disciples are called Christians. It is important to note that they were called Christians; they did not call themselves Christians. History shows us that the term was actually bestowed upon them by the ones who criticized them. Society didn’t like them, so society called them Christians. I Peter 4:16 says “If any man suffers as a Christian, let him not be ashamed, but let him glorify God on this behalf.” So if the world doesn’t like Christians, we should glorify God (Matthew 5:11-12), not run and change our name. This makes it look like Christians had an emergency staff meeting and agreed to retool the whole operation. And since “Christian” means “follower of Christ,” Christ Follower was not too creative. Other critics of the word Christian say that the word means that we are little Christs (or little anointed ones by definition), thus making ourselves little gods. That just is not true. We are simply followers of Christ. We don’t see the Muslims changing their names, and they behead people who do not believe like they do. What group could ever have a worse reputation than that? If we really get down to it, the reason that society today has a problem with Christians is that they know too many of them. And the ones they know act just like they do, then go pretend to be holy on Sundays. The real reason society should not like Christians is the opposite; there should be a guilt felt within them because they are not living like Christ’s followers. They should see real love, joy, peace, patience, sacrifice, conviction, and commitment. When they do, they will do one of two things: they will feel compelled to change their lives and live for God, or they will harden their hearts and hate God and His followers. As a lifetime Tampa Bay Buccaneers fan, I know all too well the agony of defeat. The Bucs are arguably the worst franchise in the history of pro football. Around the turn of the century the team was doing some soul searching, trying to turn around their fortune. The solution was not in changing their name and tricking all the other teams into thinking they were somebody else. The solution was found in getting better personnel, which was what led to their 2003 Super Bowl victory (yes, they stink again, but only because they got rid of those good players). So in our mission to reach the lost world for Christ, let’s focus on developing our personnel by making sure that all who follow Christ are living the way Christ wants us to live. No gimmicks, no tricks, no name changes. Let’s just infiltrate our culture with the love of Jesus as we seek to live a holy life. We need to get our act together and reach the lost before the Allah Followers do. When I was living in the dorm of my Bible college there were a handful of guys that loved to stay up late debating the nitty-gritty matters of the Bible. These people would spend hours yelling at each other over the necessities, like whether or not Adam had a bellybutton (of course not!). And they loved to be the one to come up with the most controversial new idea, then adopt that into their theology. It doesn’t matter if Adam had a bellybutton or not (he didn’t! ); I don’t want to spend all my time trying to convince a Christian about some unimportant biblical trivia question. Instead, I want to try to convince the lost to give their lives to Christ. Furthermore, I want to teach Christians about the things that do matter. As the pastor of students at our church I have an obligation to teach our students, but this teaching should not be confined to just Sunday and Wednesday. If I have the opportunity to teach about where Christians should stand on the gay rights issue, or the chance to encourage our students to be encouragers, then I will do so. That is why I blog. I also have an obligation to the parents of these students to provide them with the best information possible to help them make decisions about raising their children. Parents, we are on the same team, working together, not against each other. So when I am asked repeatedly if the peace symbol is okay to wear or if a certain movie is okay to see, then I also have an obligation to make that information available as well. 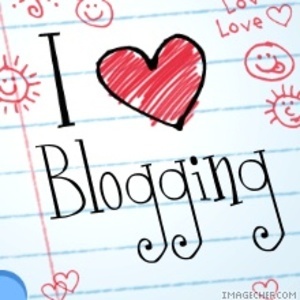 That is why I blog. If something that I have written has rubbed you the wrong way, just know that it was never my intention to do so. If you are reading this, and you clearly are, no one twisted your arm to make you read it (as far as I know). This blog is not my soapbox to try to conform everyone to look like me; this is simply an extension of my ministry to teach. I realize that some things have caused some to disagree with me, even to criticize me. But that will not prevent me from continuing to do what I do. The way I see it, at my judgment it will just be me and Jesus, and I will have to give an account of what I did with my ministry. Since none of you will be there, I will not have to answer to you. My main goal is to please Jesus, and to continue the work that He has called me to do. by the way, Adam didn’t have an umbilical cord. You do the math. Aside from Tommy, Legalist might just be what I’ve been called most recently. The tricky thing about legalism is that it is easy to accuse someone of being a legalist, and it is hard to prove that you are not one. So with my work cut out for me, let me try to explain why I am not a legalist. A legalist is a person who emphasizes the outward appearance over the inward appearance. For example, a legalist might have a rule that you always attend church on Sunday, but once at church, he may never pay attention. To a legalist, the matters of the heart don’t matter as long as you look right on the outside. One of the obvious problems with legalism is that the legalist soon begins to demand that everyone else look and act just like he does, even though a lot of what he does is not biblical. There are no moderate legalists; they are all extreme, and they all think they are better than everybody. To the observer, there is a very fine line between a legalist and person who is simply trying to live right. Why? Because the person who is trying to live right will, like the legalist, shun the things of this world. Neither will drink alcohol, neither will watch bad movies, neither will use foul language, etc. And since no one can truly know another person’s motives, it may be difficult to distinguish between the two. The opposite of legalism is grace; this is the idea that a person can do whatever they want and causally ask for forgiveness later, citing Bible verses that seemingly put God in check-mate, forcing Him to forgive them because He promised to do so. There is no focus on living a holy life because, “God will forgive me.” The Bible calls this attitude licentiousness, or the idea that we have a license to sin. I am not licentious, nor am I a legalist. I am just a guy who is trying to live right. When Jesus says to be holy, I actually want to be holy. When the Bible says that pride is an abomination, I don’t want to be proud. And when the Bible says to put no wicked thing before my eyes, guess what? I don’t want to put any wicked thing before my eyes. Does that make me a legalist? No. In fact, I believe it only exposes the fact that the very ones who call me a legalist are actually licentious. They can put evil before their eyes because God will be forced to forgive them later (please note my sarcasm here: God is not forced, and He only forgives those who turn from their sin, not just casually pretend they are sorry). I personally believe there is a guilt factor involved here that makes the licentious crowd attempt to decry the ones striving to be holy by calling them legalists. Deep down they realize that they are not holy, but instead of changing, they yell, “Legalist!” This is like the liberal strategy: they can’t win on ideas, so Dan Quayle can’t spell, Reagan is too old, George W. Bush is too dumb, and Sarah Palin is, well, take your pick. Even if I am a legalist (which I’m not), does that change whether the other person is right or wrong? A legalist can make a good point. One might teach that Christians should abstain from gossip, and if he is dismissed as being a legalist, that does not change the point: a Christian should not gossip. The crowd might yell “Legalism!” but they had better stop gossiping too. If a person thinks I am a legalist, that really doesn’t bother me. I have my convictions (not opinions), but I am not preachy about them unless I am preaching. I don’t picket, boycott, sign petitions, hold signs, or bomb abortion clinics. Those are the actions of the legalist. But I have been accused of forcing my beliefs on people. The thing is, if my convictions come from the Bible, then I am right. And when I preach, teach, answer questions, or blog, I had better teach God’s Word. People living in sin might not like it, but they won’t be there at my judgment when I will answer to God for how I handled my ministry. I want to be able to tell the Lord that I never watered down, dumbed down, or put down His Word. Here is the problem: preachers and teachers today have no definitive answer about what is right and wrong, and they therefore leave it all open for each person to decide for himself. These are the one who get upset that I am forcing my beliefs. The Bible is clear. There is no room for debate. What is right is right. What is wrong is wrong. So if that makes you want to call me a legalist, I don’t care; that is what the comment section is for. That will not slow me down from teaching what BIBLICAL holiness looks like. And just in case I offended any legalists here, let me point out that I am wearing a tie. One of my favorite parts of what I do is going into the schools. We have a Bible study called First Priority that meets at the high school, and at our three junior highs at Lockhart, Sims, and Jonesville. There are hundreds 6th-8th graders that pack out Sims every Wednesday morning, and some days it can be difficult to keep the crowd quiet. I’ll be the first to admit that the majority of these students are not there because of their love for Jesus or their desire to hear the message, but we always believe that we are helping to make a difference. Last Wednesday, due to other circumstances, I was the only pastor at Sims. The room quickly got out of control, and I was even mocked by a few students. In my frustration I later told my wife that I wasn’t going back to Sims. That night at church a lady handed me a hand written note from one of her students who goes to Sims. The note was very simple, thanking me for visiting each week and teaching her the Bible. Aside from making me cry, the note reminded me that no matter how difficult it might be to deal with the masses, there is a room full of individuals that are eager to hear God’s Word. So who is the person in your life in need of a note? Is there a school teacher, pastor, parent, friend, mentor, boss, coach, neighbor, relative, soldier, or any other person that you can say thanks to? It takes very little time, and the impact can last far beyond the occasion. Don’t be the king of good intentions; stop thinking about writing that note or making that call and just do it. 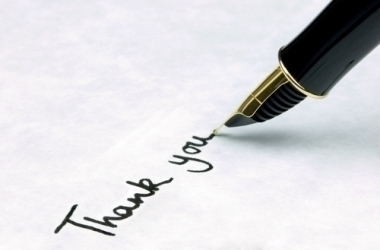 The person you thank might just be encouraged to continue on in some work that they otherwise may have abandoned. You never know, you might be the Barnabas to encourage Paul when he needed it the most. In my opinion, Barnabas was as important in the ministry as Paul was, and when you pass on encouragement you are sharing in that person’s ministry. So to all you encouragers out there, Keep it up! You’re probably surprised that it took me this long to do it, but I am finally going to blog about one of my favorite people, Tim Tebow. There is a lot of controversy surrounding the 30 second commercial that Tebow will appear in with his mother, Pam, during the Super Bowl. The ad is sponsored by Focus on the Family (who did not put any money into the project). Naturally, many women’s groups have been upset about the ad, which is a little funny since it has not aired, and only a select group has seen it. There has been no transcript released, except that CBS has said the words “abortion” and “pro-life” do not appear in the ad. These women’s groups are supposed to be in favor of choice, but it is clear to me that they are only in favor of choosing abortion. Tebow’s commercial is not saying to make abortion illegal, it is saying to choose life. If these women really supported a woman’s right to choose, then they should support the Tebow ad, because keeping a baby is a choice. If they disagree with Pam Tebow’s choice to keep her son, then this confirms that they love abortion. And where is the respect for Pam? These groups say we need to respect women’s choices, but they are showing no respect for this respectful woman. We have not seen the commercial yet, and sadly, I won’t get to see it on Super Bowl Sunday either. Why? Because the other commercials are so bad that our youth will be turning the TV off during our Super Bowl party. This is why I am sick of hearing people make the lame argument that the Super Bowl is no place for this message. What other ads are going to be aired during the Super Bowl? Coors, Budweiser, Victoria’s Secret, Viagra, Go Daddy, and who knows what else. What a shame that people are getting worked up over something decent interrupting the vile advertising that will be taking place. I think this ad will be a breath of fresh air on TV. And for all of you that are upset that this commercial does not present the Gospel, please remember two things. #1, The CBS criteria will not allow them to. So what is the solution—not doing anything, or doing their best with what they can do? #2, Because of the controversy, which everyone involved in knew there would be, it is allowing them the opportunity to present the Gospel to millions of people. For example, when the news does a story on this ad, they show Tebow, who is either preaching in a prison or wearing John 3:16 painted on his face, which has caused more than 93 million people to Google that verse. So when the liberals of this country want to pick and choose which voices get heard and which ones gets silenced, Tim Tebow has once again found a way to penetrate and score. It is sad that we live in a society that is OK with vulgar commercials because of the right to free speech. These are the same people trying to silence Rush Limbaugh, Sean Hannity, and other conservative voices under the “Fairness Doctrine,” while allowing CNN, NBC, MSNBC, and every other biased news outlet to report whatever they want. Tebow could be doing a Super Bowl commercial with Nike, Gatorade, or anything else, but he is putting his career on the line by standing for something. Instead of criticizing him, we should be encouraging him, because frankly, we need more of him. In Florida, Tim Tebow is a legend. If Tim Tebow goes into McDonald's and orders a Whopper, he gets one. Tim Tebow can win Connect 4 in 3 moves. 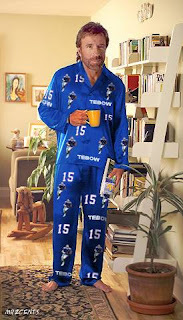 Chuck Norris wears Tim Tebow pajamas. There is nothing he cannot do, and he is, perhaps, the greatest college football player of all time. And that has little to do with his football stats. God, give us more Tim Tebows, people who will take a stand, live for You, and point people to the cross, no matter who they upset in the process. 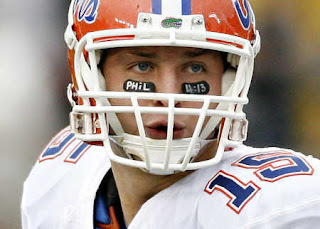 Go Gators, and Go Tim Tebow!